Old Dairy Brewery, founded in 2009, seems to like a bit of tradition and nostalgia. 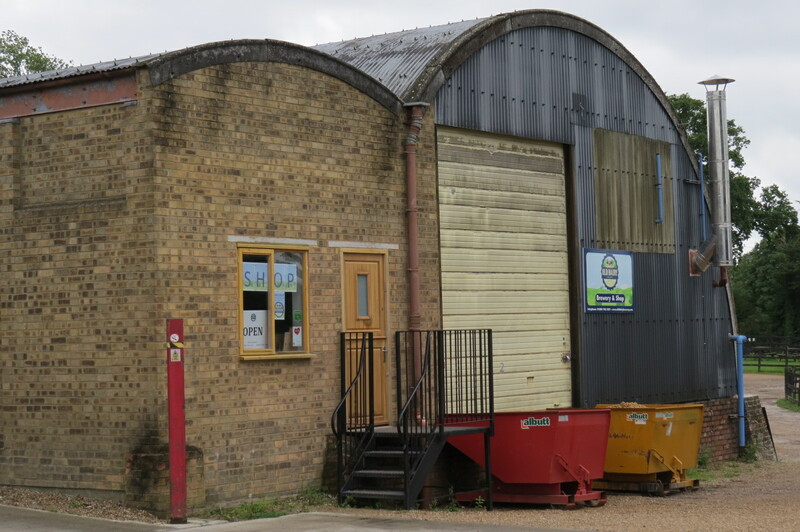 It’s right next door to the Kent and East Sussex Steam Railway (and take it from me restored railways and cask ale are natural partners) and the brewery is housed in two World War II Nissen huts. Inside one there’s a 30-barrel brewery, producing around 16,000 of litres of beer a week, along with a shop, bar and meeting room, while the other contains the brewery’s offices and warehouse operations. Sourcing most of its malt and hops from Kent it produces beers in cask and bottle, with a recently re-branded ‘core range’ (named for the colours of milk bottle tops as per the dairy theme) including a classic best bitter, a golden ale and an IPA. Brewer Glenn Whatman (pictured left) came on board at Old Dairy in the summer of 2011, shortly after spending three months travelling around Asia and Australasia. He says he arrived back ‘penniless and in need of a job’ and began not as a brewer but a delivery driver. The brewery was on a roll though and soon he was plunged into other tasks such as racking, bottling, looking after the beer and, finally, brewing it. 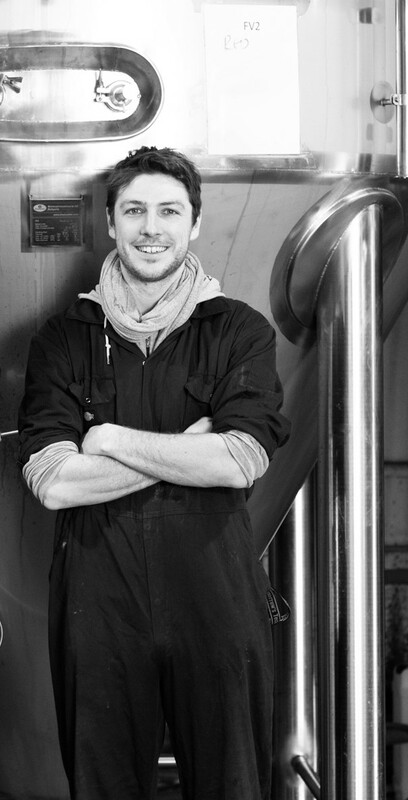 “Working at and managing a few bars in my home town of Tenterden ignited my love for different types of beer and started my interest in how it’s made,” says Glenn. He’d also found inspiration on his travels, both in the mundane and extraordinary, explaining that in Asia the beers are mainly commercial, (‘anything light and thirst quenching will do’), but in New Zealand he found the craft beer movement in full swing. He went on to make his own New Zealand-inspired beer, using imported NZ hop variety Green Bullet, in a ‘brew shed’ he shares with a friend. 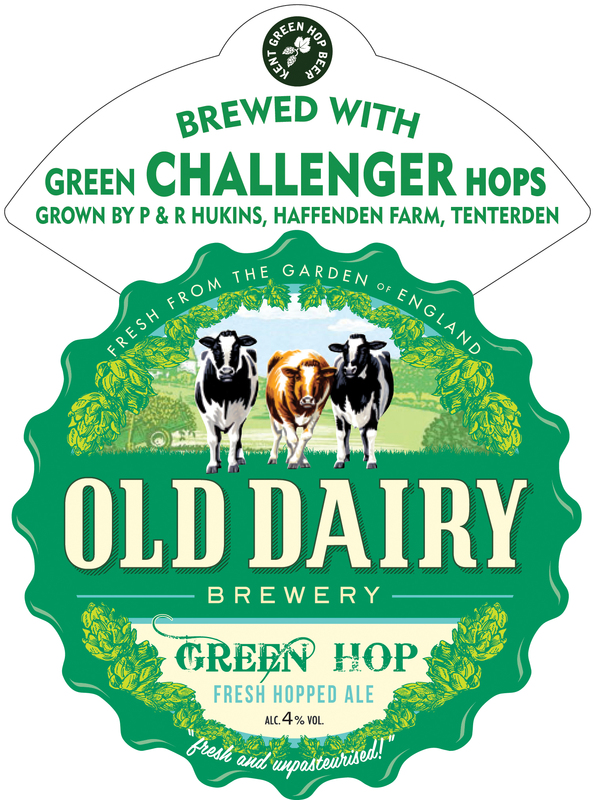 Old Dairy’s green hop beer is simply called Green Hop (4 %) and is made with traditional British variety Challenger grown locally by Hukins Hops at Haffenden Farm. Brewery shop: Open Monday to Friday, 10 am – 4 pm and Saturday, 10 am – 2 pm. Brewery tours: Saturday mornings and Thursday afternoons – booking essential. Old Dairy brewery is at home in two WW2 Nissen huts. Kent Green Hop Beer Fortnight takes place from Fri 25th Sept until Sunday 11th October.